Are you looking for a Brighton-based loft conversion company? Do you need an experienced team of loft design specialists who have a combined experience of over 20 years? 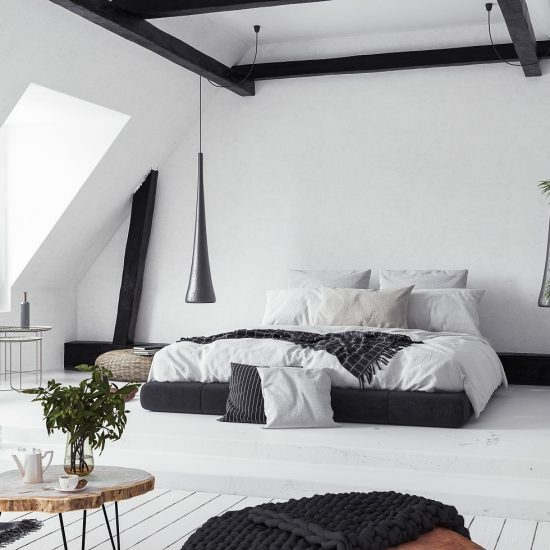 Looking to turn your loft into an extra bedroom? For us, every loft conversion we undertake is special. 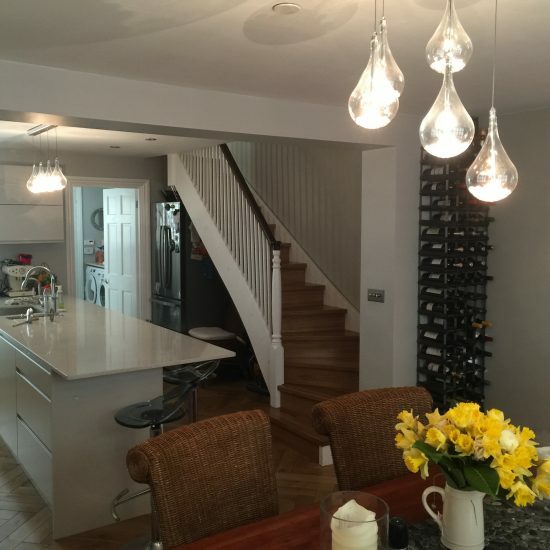 We are a hands-on team who have retained our passion for delivering customised designs matched by excellent construction work for all our Brighton clients. We understand that you might have minimal knowledge about loft conversion or what they entail. Our friendly team in Brighton is always available to explain and help in any way possible. When you choose Milosh Loft Conversions, you get an integrated package that includes planning, design and execution. We work hard for you. We will never pressure you into accepting a design that doesn’t make your loft feel like home. Our intuitive architects take your idea and dreams for your loft and turn it into a gorgeous space that takes your breath away. You benefit from our local knowledge of the Brighton area, weather, local contacts and expertise of what works best. We’ve worked extensively in Brighton, creating beautiful loft conversions with a dedicated team of expert designers, architects and craftsmen. Managing the client’s expectation for a loft conversion project always seems to be the challenge for most companies in Brighton. We take time to understand your vision for your loft and include all your specifications in our designs, right down to the last detail. In lofts with limited space, a dormer loft conversion allows for additional head and floor room by extending the existing roof. Dormer lofts in Brighton are built with different shapes from Pedimented, Flat and shed-shaped, Gabled and Hipped & Arched. If you want the maximum internal space for your Brighton loft, flat roof dormers are the best choice. Hipped-roof and Gable-fronted look more aesthetically pleasing but they cost more without giving much internal space due to the complexity of construction. Many of our Brighton clients who love their homes are opting for loft conversion instead of moving homes. It is a great way to maximise space in your current home and keep everyone happy. Not all styles of dormer windows or loft conversions are allowed. You can check with your local planning department or give us a call and we’ll advise you on the best options for your Brighton home. This is the most common type of dormer window used in Brighton. It is a simple pitched roof of sloping planes supported by frames rising vertically to form a triangular section. They don’t require planning permission. It is also the best option if you have a terraced house. The vertical windows ensure lots of space and sunlight. You can maximise storage space by turning nooks and crannies into shelves. Similar to the gabled dormer in terms of structure, the difference is in the details. The architectural design was inspired by ancient Rome and Greek culture. Moulding is used to create the triangular shape on top of the window. Vertical moulding on both sides of the window holds the triangle up. A square with a flat room extending out of the room and parallel to the ground. It could either have a long width with several windows or be small with a single window. Sometimes, shed dormers blur the lines between a dormer and a second story. It is also similar to the Flat dormer. The roof is flat and the dormer itself is either rectangular or square shaped with one or more windows extending downward from the slope of the roof. This type of dormer is mostly seen on Prairie, French Eclectic, Shingle or Craftsman style homes in Brighton. As it rises, the roof slants back. It occurs on the sides and front and found on houses with a hipped roof. A French architectural style, arched top dormer is a popular Second Empire style famous during the reign of Napoleon III. In the UK, they are synonymous with properties built in the Victorian era. Whether it’s a triangle or half circle, this dormer makes an architectural statement but doesn’t add much headroom. The advantage is for those who want a loft with more natural light or who want to add a decorative fanlight. To mimic the look of a thatch, they are used on properties with curved roofing shingles around the eaves. It is surprisingly common to hear people settling for the first contractor who approaches them. These companies rope you in by offering a far cheaper price than other loft conversion companies. What you don’t know if they use cheap materials during construction to reduce the overhead cost. If you ever plan to put your home on the market, there is no increase in home value. A loft conversion project should only be undertaken by a Brighton specialist team such as Milosh Loft Conversions. If you’re not an architect or a loft conversion specialist, we don’t advise that you draw up plans by yourself. The major challenge with loft conversion is drawing up a plan that maximises natural light and space. Our experienced architects can design a loft that is strong, aesthetic and spacious. A poorly designed loft is dangerous. This happens when you don’t consult with specialists in Brighton. Is your loft suitable for conversion? What is the best use of the loft? What type of loft conversion would suit your home depending on your area and purpose for the room? These are all questions that you might not consider. When you hear homeowners in Brighton complaining that their loft is either too hot or too cold, it’s because the loft wasn’t properly insulated. Energy efficiency has attracted attention in recent times. Soundproofing keeps outside noise out, and a well-insulated loft ensures that your loft is warm during cold weather and cool in the summer. It is important that you only work with a loft conversion specialist who ensures proper insulation of your loft. Consider double-glazing windows and heating units that keep the roof warm on cold nights. Bad connections lead to leaking radiators or do not work at all. This could affect the water flow and hot water pressure in your home. Most of the time, this happens when the previous homeowners carried out a loft conversion without getting the proper planning permits. When you work with Milosh Loft Conversions, we advise you on building regulations, party wall agreements and permits you might need before construction work begins. Great source of natural light Dormer windows offer a good source of natural light and ventilation. The vertical profile of the dormer window means it can be used to create more headroom in your loft, leading to more usable space. It also facilitates mobility in the loft and reduces the risk of collision with the ceiling. Improved ventilation Dormer windows offer more ventilation in the loft. This is especially important if you won’t be installing an air-conditioner in the loft. You can open the window partially at the top and bottom so that hot air goes out through the top and cool air comes in through the bottom. More decoration options Dormer windows give you more options. You can add a comfortable sofa close to the windows, complete with throw pillows and a cushion and becomes a nice place to sit and watch the outside world. An alternative is a reading nook where the children can sit to read a book. Illumination Many homeowners in Brighton struggle with getting more lighting. The ample light from a dormer window allows your home to glow, and you can control the sunlight with the type, size and direction of the dormer window. Extra headroom You have more space from the inside with a dormer window. It allows you to decongest your Brighton home and design it any way you want. Better exterior Anyone looking from the outside will definitely find the windows appealing. You get more wows for the classy style of a dormer window. It also makes your Brighton home more attractive to a potential buyer. Versatility There are many styles of dormer windows which include Hipped, Eyebrow, Pedimented and arched designs. This makes it easier to find an option that best fits your objective for your Brighton loft conversion. No need for extensive maintenance when you choose us to design and execute your dormer loft conversion. The dormers we use are made from the highest quality materials with durability that lasts decades. Our dormer windows are optimised for high insulation capacity with the best quality thermal insulation. Recyclable materials that reduce your carbon footprints. Guaranteed fixed price contract that doesn’t change. An expert team of architects, plumbers, engineers, electricians and experienced loft conversion contractors. Personalised customer service that continues after the completion of your project. Integrated services that provide everything you need for your loft conversion project including obtaining planning permits and following building regulations. Over 20 years of experience with planning, designing and building beautiful loft conversions for hundreds of homeowners in Brighton and its surroundings. How do you work- design and build process? Book an appointment for a free site survey to determine the suitability of your loft for a conversion. We send you a quote and if you’re happy with it, we draw up a contract with a fixed price and timeline for the loft conversion. Once all of that is settled, we begin construction. It takes approximately 2 to 3 months during which our contractors will be on site 5 to 6 days a week. We assign a dedicated project manager who keeps you in the loop and makes regular visits to inspect the work and ensure it is going as planned. You need planning permission if you plan to alter the shape of the roof or if your dormer window is front-facing. You submit your plan to the local council and it is open to rejection by your neighbours or the council. A permitted development means you don’t have to apply for planning permission. This is usually the case for most buildings that aren’t flats or in a designated area. Semi-detached properties are allowed an extra 50 cubic metres and terraced houses are allowed an additional 40 cubic metres. The average loft conversion in Brighton usually takes 4 to 10 weeks to complete. It could reach 12 weeks if you have a more complex project or custom specifications. Is it a problem if I have a chimney or water tank? We can move your water tank to a more conducive area so that you have more space in the loft. We advise Brighton homeowners to upgrade to a combi boiler that eliminates the problem and provides more efficiency. We can either work around your chimney or remove it altogether. Absolutely. We can undertake work if you already have an existing plan. Our architects will look it over to ensure it conforms with Brighton’s building regulations. At Milosh Loft Conversions, we pride ourselves as a full customer orientated service. It is very rare that customers have issues with their loft conversion but in the rare case that you do, our team of friendly contractors will come over and fix the problem. We also provide a 10 year guarantee on all dormer window installations. 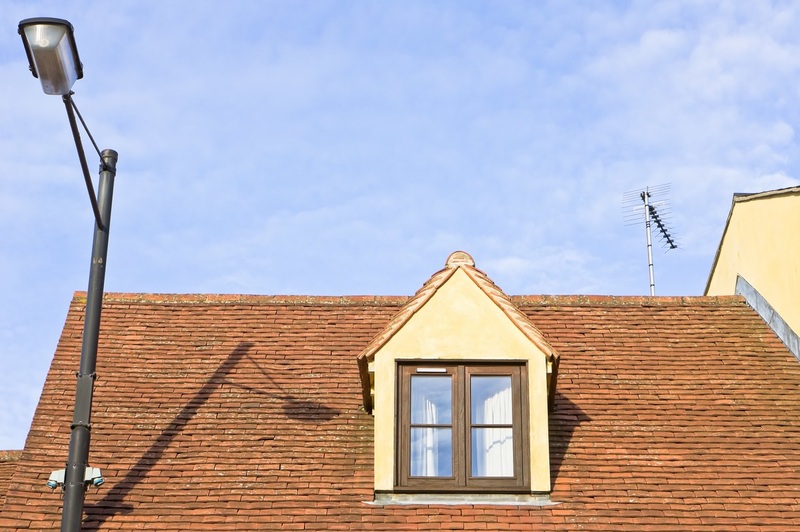 How will a dormer window add value to my home? A loft conversion is considered a safe investment that adds value to your property. A large bedroom, with a new staircase, en suite bathroom and dormer windows delivers an immediate increased value of at least 10%. A loft conversion is considered a third storey for your Brighton home. You have to install a wide fire-escape window and fire doors that can withstand heat for 30 minutes. One will be installed at the top of the new stairs and doors in all the rooms of the house. You also need smoke alarms in your loft. It should be wired to the main control and include a backup battery for power supply. We have employer’s liability insurance and public liability insurance to the value of £10,000,000 and £1,000,000 respectively. We also offer a free one year maintenance guarantee apart from our 10 year structural guarantee. 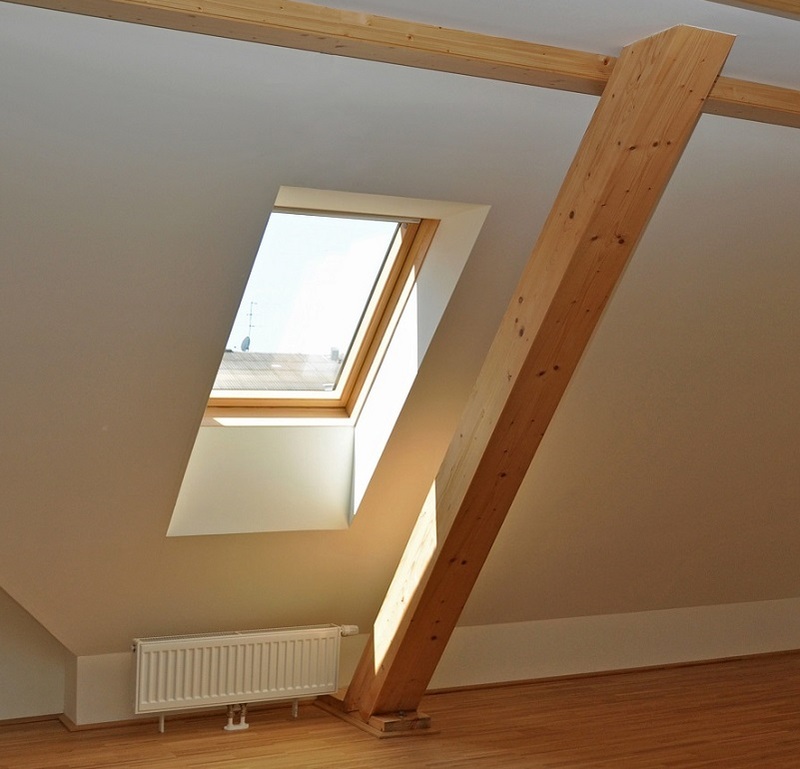 Why is it important to work with a loft conversion specialist? Using a loft conversion specialist is better than working with a general builder. Milosh Loft Conversions Brighton has the experience required to ensure a smooth job. We know all the required planning permissions and regulations required for your building and your preferred dormer window style. You are assigned a project manager who schedules regular meetings to keep you informed on the progress of your loft conversion. Any mistake in your loft conversion could double the charge of fixing your home. Working with a loft conversion specialist in Brighton eliminates the risk of a conversion gone wrong. If you want to take the right steps in becoming eco-friendlier, Milosh Loft Conversions provides sustainable dormer windows that help to save the planet and your wallet. We could use timber walls, a sustainable material that is a good alternative to brick or concrete, and provides proper insulation while maintaining good air quality. It is also cheaper. We can attempt to reuse your existing roof types or recycled shingles and include double glazing dormer windows that reduce heating bills and provide great insulation. We’ll also use low energy LED bulbs that reduce electricity bills, illuminate your loft and last longer than regular bulbs. How do I choose the right builder for my loft conversion project? Ask for recommendations. It is a tried and trusted method of finding good loft conversion companies in Brighton. Ensure that the builder of your choice has the right credentials and meets industry specifications for loft conversion companies. Milosh Loft Conversions are NIC EIC approved contractors. We are also members of the Federation of Master Builders. Go online and research the company. Do they have a website that inspires trust? Where is their office located? Who answers the phone when you call their contact number? Who have they worked for in the past? These are ways to verify that the company is legitimate. Ask them if they have worked on dormer windows and dormer loft conversions. A good conversion specialist will be happy to put you in touch with a client they’ve worked with in the past. How do I pay my dormer loft conversion? Many of our clients in Brighton opt to re-mortgage their homes to get the funds they need for a dormer loft conversion. You must have equity in your home for the amount you need to borrow, this will include a deposit. If you have savings, you can leverage that to expend some of the cost of a home renovation. Savings is the cheapest way to pay for a loft conversion as you’re not charged bank interest. You could also look into a credit card reward or cashback deal to pay off the balance if your savings are not sufficient to cover the full cost of the dormer loft conversion. A third option is to take out a personal loan if you have a good credit history. It is cheaper than re mortgaging but you will have to consider whether you can manage the monthly payments on top any other financial commitments you have. Alternatively, you can pay for your project in instalments. We can sit with you and map out a payment structure starting from the first stage of the project and finishing before the final stages. How do I convert my loft if I live in a designated land? Strictly speaking, it is not true that you can’t remodel or renovate your home if it’s in designated land such as a conservation area. The focus is more on preserving the surrounding environment and general style of the home. In relation to dormer loft conversion, this means that any work which alters the roofline requires special consent. Failure to obtain the consent means your loft conversion is illegal and you could be fined or imprisoned in extreme cases. Will I need planning permission to use a dormer loft conversion style? The home is on designated land. Examples include world heritage sites, areas of outstanding beauty, national parks and conservation areas. Where will I place the staircase for my loft conversion? When considering a loft conversion design, the position of the staircase is one of your most significant decisions. With the help of our gifted architects, there are several options that could improve your existing upper floor layout, and therefore improve your new loft floor. A second option is to position the stairs behind the chimney. This allows headroom for the staircase to come up off to the left. This means you have an extra space to convert your loft into an en suite bedroom with a bathroom. If your loft is not in violation of the planning and conservation guidelines, it can be converted. The roof ridge is a crucial element. 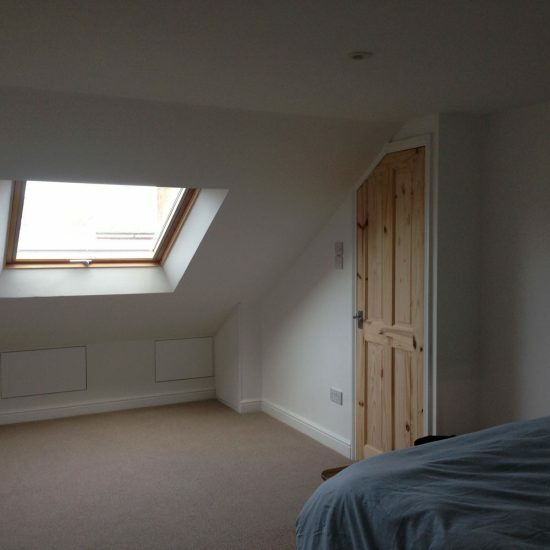 It has to be a minimum of 2.2 m.
Is my property suitable for a dormer loft conversion? The minimum height for a conventional cut rafter along with purlin rooftop should be 2.2m to 2.4m. A chimney or lift zone that goes through the top won’t influence your loft conversion. However, you might have to relocate the boiler if maximising extra space is the goal for your loft conversion. If the roof has felt under the tiles, it has to be fully weathered. No felt? You have to be able to see the back of the roof tiles and battens they are fixed to. In most specialised properties, such as a Victorian house, the rooftop slate front has felt already installed. You can move on if you tick these boxes. If there are any problems, you might have to make some adjustments before the conversion can begin. How much is a dormer window? Most window installers offer prices based on double-glazed windows as it offers more security and better insulation for your Brighton loft conversion. Currently, the cheapest price you can get for a dormer window is £600. A more expensive window might cost up to £1,250. A customised dormer window can make your home more impressive, depending on the style and period of your property. With a budget of £5,000 and above, you can install a simple flat roof dormer that turns your unused loft into an office or bedroom. A mid-range budget of £10,000 and above will get you a pair of gable dormers that create a beautiful design and maintain a perfect symmetry of your Brighton home. Our designers can match dormers to fit the existing architectural style of your home. With a budget of £15,000 and above, our designers can create a customised dormer window for your loft conversion project. We’ll add high-quality finishes that maximise the value to your home. Why should I use dormer for my loft conversion? Dormer windows open up space in your room, create more headroom and allow for more daylight. The increased space means you have room for a closet, en suite bathroom, reading corner, small window-side sofa and a bedroom. There are many shapes and sizes so you shouldn’t have trouble finding an option that fits your Brighton home. A dormer window incorporates an extra floor of accommodation, turning your home into a three storey building without feeling high on the outside. A dormer window is a vertical window with its own roof and positioned within the slope of the roof. It is used to increase the livable space in a loft and create window openings in a roof plane. When installed by a professional, it looks beautiful. When done by a cheap contractor, it might look cheap. Milosh Build offers Dormer Windows for Loft Conversions in Brighton, East Sussex, a large town located in South East England. Milosh Build’s Dormer Windows for Loft Conversions area in the City of Brighton and Hove also includes Mile Oak, Moulsecoomb, Hollingbury, Hollingdean and Hove. Just as importantly, Finally yet importantly, Milosh Build’s Dormer Windows for Loft Conversions cover the Brighton Municipality along with Bear Road area, Stanmer and Brighton Marina.